GUARD Archaeology is collaborating with the Dumfriesshire and Galloway Natural History and Antiquarian Society, in this exciting community research project to investigate the Pictish Symbols at Trusty's Hillfort near Gatehouse of Fleet in Dumfries and Galloway. Pictish symbols, the most visible remaining evidence of the Picts, are found carved in monumental stones across that part of Scotland north of the Clyde-Forth line and predominantly on the eastern side of the country. The Pictish Symbol Stone at Trusty's Hill is unique in Galloway and a far outlier of where most Pictish Stones survive. 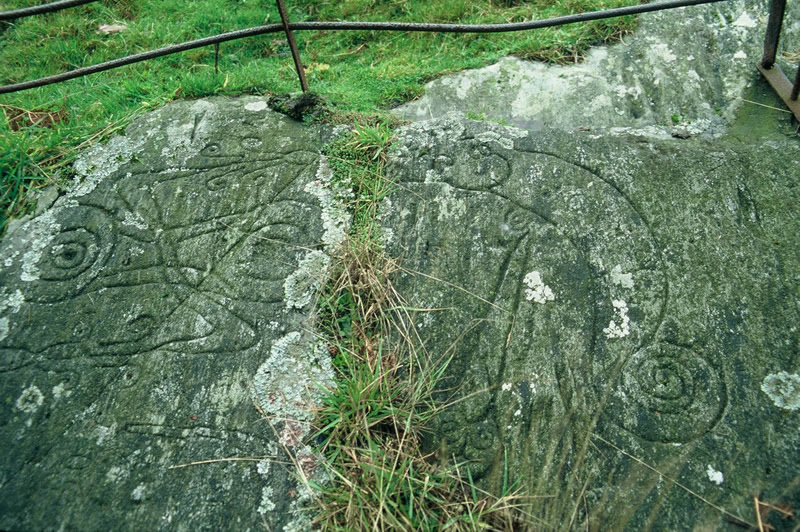 Together with experts from universities and public institutions across Scotland and England, we are assisting the Dumfriesshire and Galloway Natural History and Antiquarian Society in trying to find out why this Pictish Symbol Stone is in Galloway. We are providing graphic design, website design, publicity, fieldwork and specialist post-excavation expertise in order to provide an engaging, comprehensive and safe programme of training and education for local community participants.